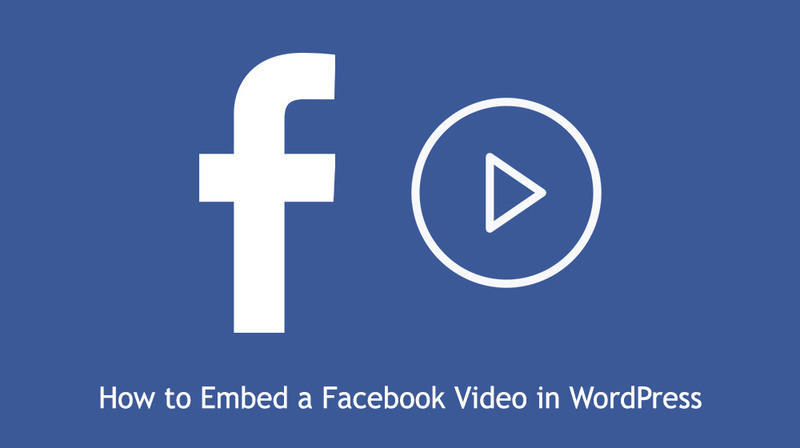 Do you want to know how to embed a Facebook video in WordPress posts or pages? 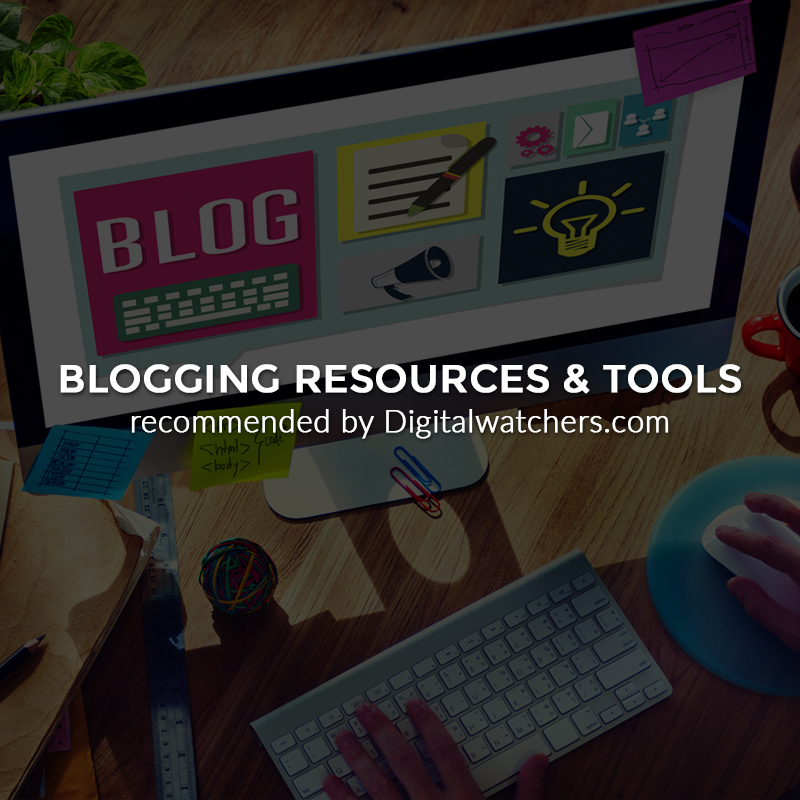 It is highly recommended to embed videos from other websites rather than uploading videos to WordPress because uploading costs bandwidth which comes at a price. 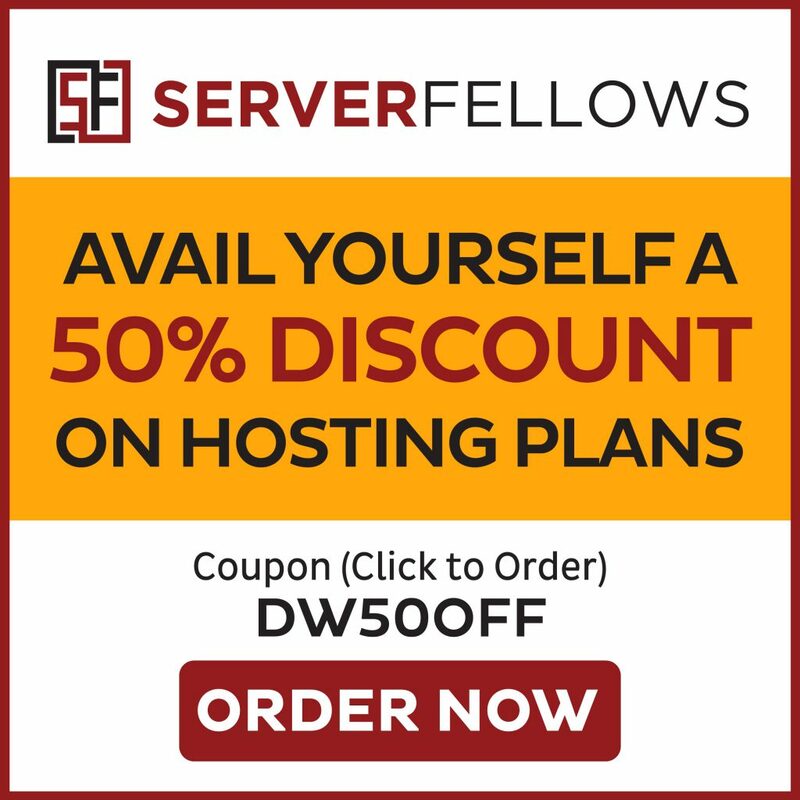 If you upload a video, you will need more space on your server which will cost you more. Embedding videos, on the other hand, save space and money and also give the same experience, if not better, as an uploaded video would give to the users. Locate the video you want to embed in WordPress. 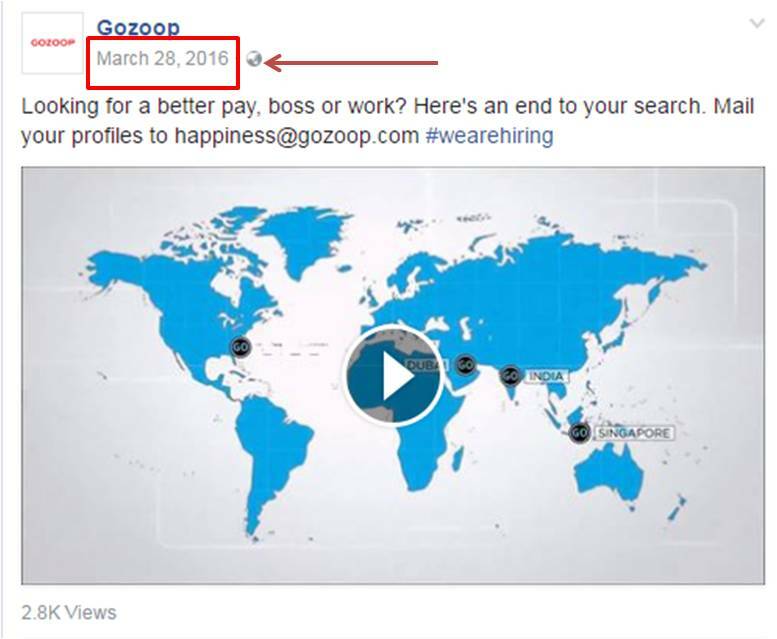 Right click the date right above the video to copy link address. Now, go to this website for Facebook embedded web player. Paste the copied link address in the URL section to generate code for embedded Facebook video. Click on Get Code button. This will generate two boxes of code – the first code is for the header file of your theme. Copy the generated code in the first box. The next step would be to add the code to the WordPress theme which can be done by adding the code to the head tag of headers.php file. If you are not comfortable editing the theme files for your website, you can download a WordPress plugin called Insert Header and Footer. Install and activate Insert Header and Footer for your WordPress site. Go to Settings > Insert Header and Footer. Paste the code you copied (first part of the generated code) in the Header section of the page. 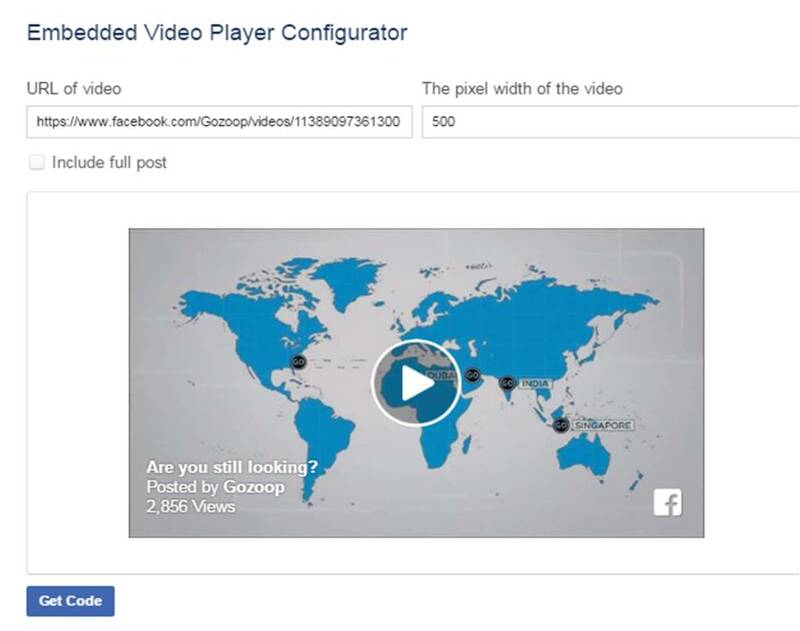 This code will enable you to embed Facebook videos in your posts, pages, etc. Go back to the Facebook embedded web player website and copy the second part of the code. Now, you can add this code in your posts or anywhere you want to embed the video. You do not need to perform step of copying and pasting the first code again and will only need the second part of the Facebook embedded web player generated codes. 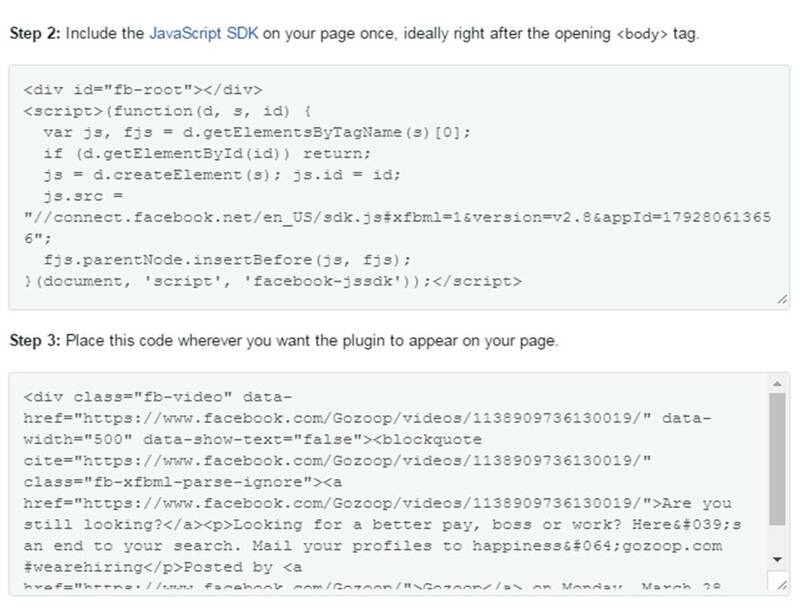 Thus, in future, if you want to embed any other facebook video in a wordpress post or page, only copy the second part of the generated code for use. Though these steps are simple, you will have to follow them carefully. Dealing with codes need more attention and caution. At the same time, copying and pasting codes is a simple process and there is no need for any expert to do that for you. Now you know how to embed a Facebook videos in your posts on your WordPress site. It is easy, simple, and very effective way of adding multimedia to the content of your website.